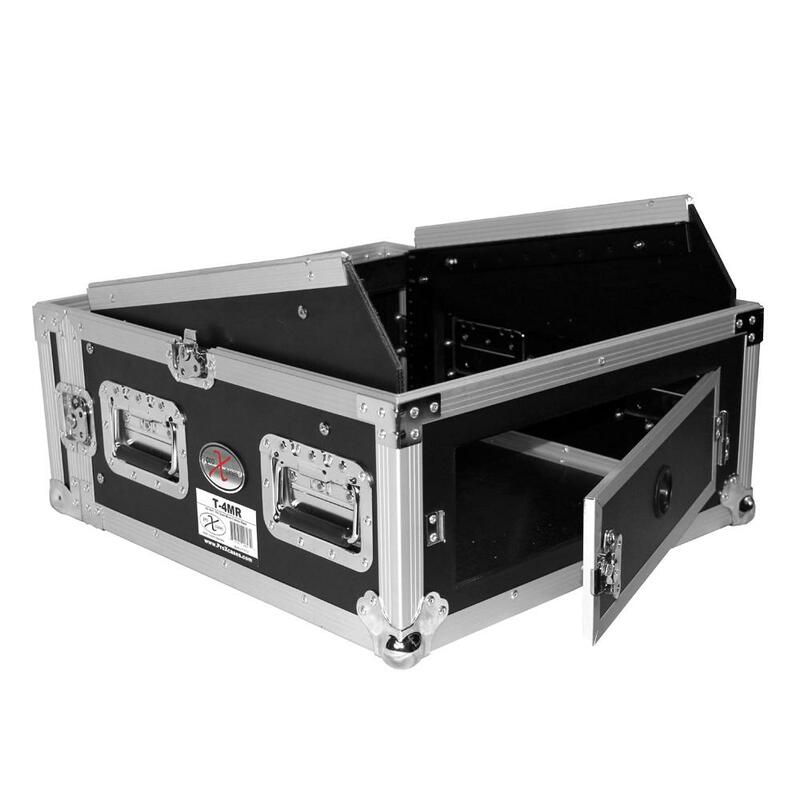 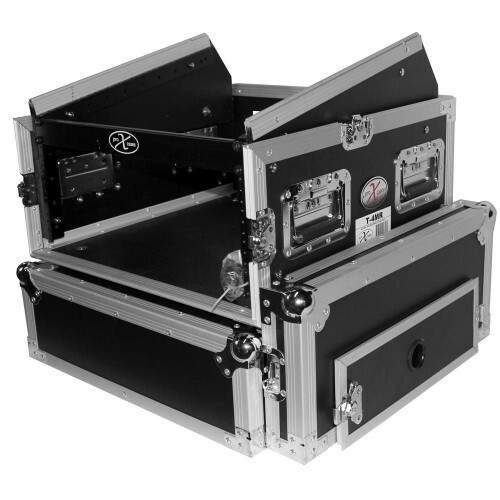 This vertical rack, 10U slant mixer rack system has all the best features you are looking for in a world-class flight case: strength, durability and reliability with flexible options and sizing for different applications. 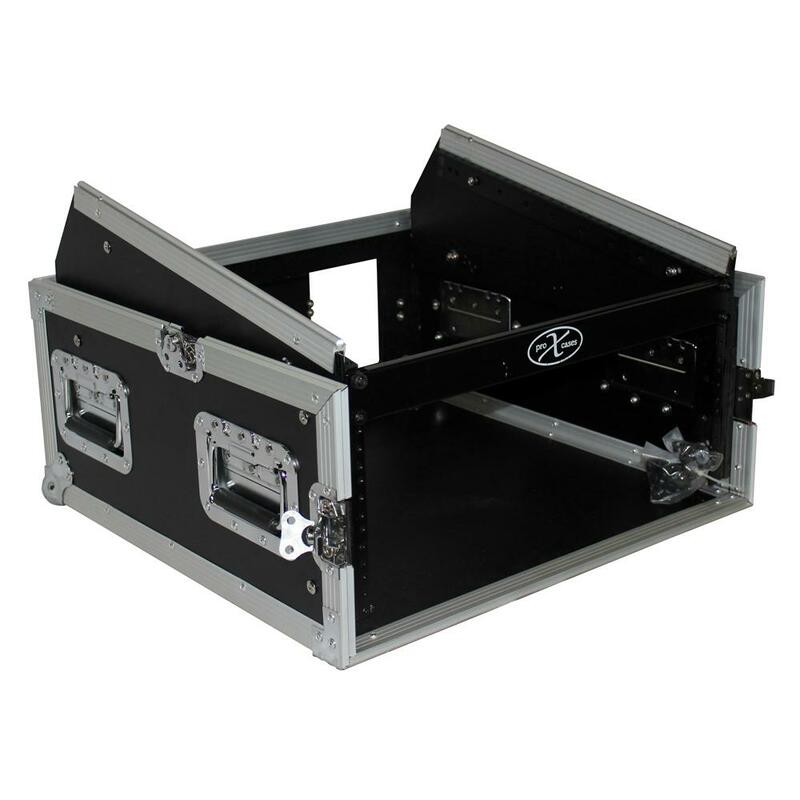 This heavy-duty professional combo rack is 19" deep and features 4U front loading and 10U top loading rails for convenient security for a wide variety of pro DJ mixers. 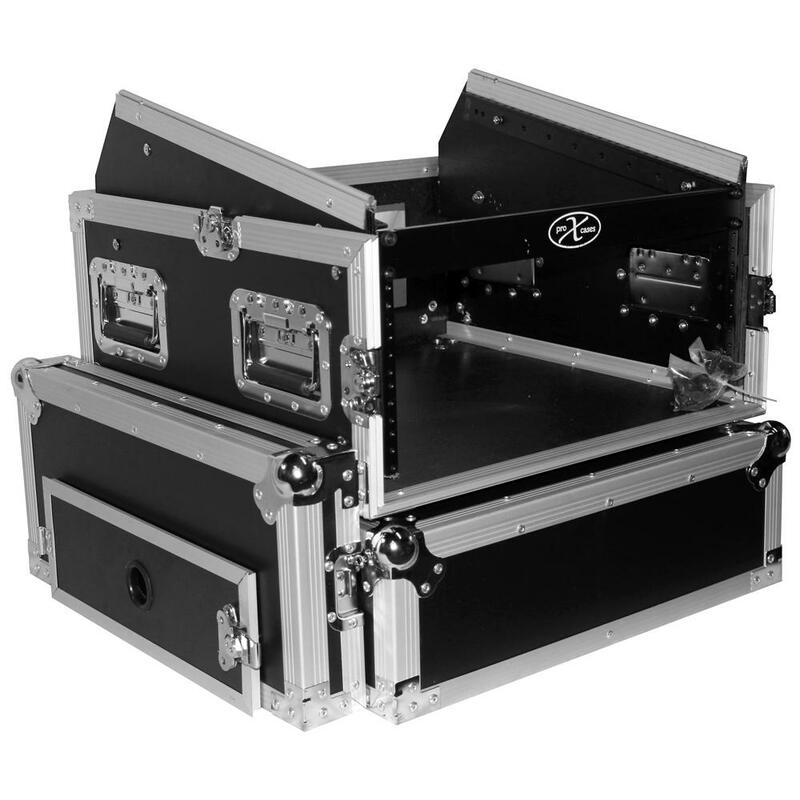 Other design highlights include a large swinging rear door (for easy wiring) with a beveled cable hole for permanent or semi-permanent installation. It also includes two handles on either side of the case for convenient transportation. 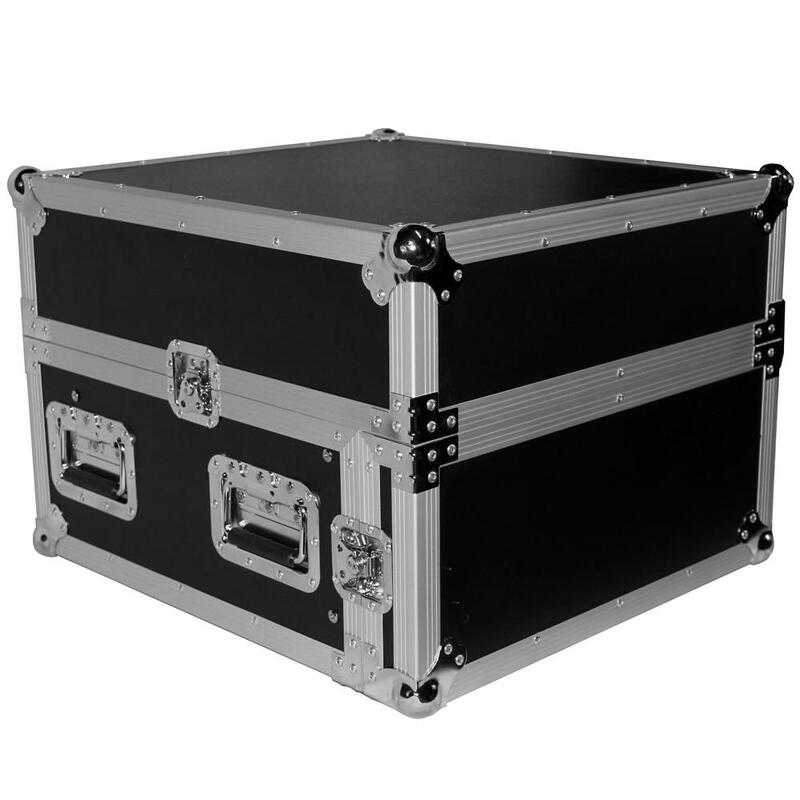 Shipping dimensions (exterior): 26" X 23" X 18"